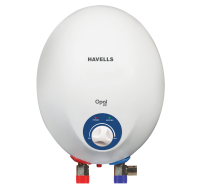 This havells Instanio water heater has a 1 liter capacity. It has .65 MPa bar pressure suitable for high rise buildings and pressure pump applications.This water heater comes with multifunctional safety valve and stainless steel inner tank of 304 grade. The Fire retardant power cord for maximum safety. 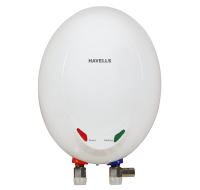 To Recieve updates and possible rewards for Havells Opal Ec 1 L white (4500 Watts) please sign in. To Recieve updates and possible rewards for Geyser/Water Heater please sign in.